Posted on 31. Oct, 2010 by Corey in All. I would have to say that Halloween is one my favorite American Holidays. Truth be told it is mainly for all the free candy given out. I was always in amazement that as a kid I could leave my house dressed as anything in the world, carrying an empty pillow case, and come home a few hours later with a huge load of free candy. There was always enough sugar in that load to have me bouncing off the walls for weeks. I do not think I ever finished an entire pillow case full of candy, but knowing I had it in my possession was all that mattered. I would not need my parents to tell me not to eat it all in one sitting, I was pretty good about rationing it out myself. I made sure I traded my sister and neighbor Sally all the kinds I did not really care for and stocked up on my favorites. My other favorite part about Halloween are the costumes. As I get older, I appreciate an individual taking the time to make something creative, as opposed to buying an outfit at the store. I enjoy watching the Today Show, The View, and other National News or Talk Shows as the hosts and audience gives it their best shot to outdo the others. This year I plan on attending a costume party, and look forward to seeing what out of the ordinary things people decide to be. Growing up I leaned heavily on my mom to help me find the perfect and easy thing to wear. Some turned out fabulous, and others not so much. Another masterpiece that my mom came up with was Howdy Doody, the TV character from the 1960’s. The costume was pretty easy to pull off since I already had the red hair and freckles. The elder population all liked and appreciated my Halloween decision, but the problem were the younger ones. 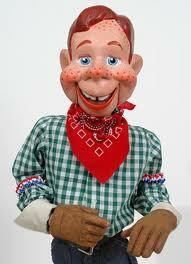 Friends and classmates were not very familiar with Howdy Doody, and did not have much of a clue who I was. 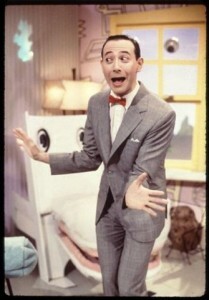 One of my favorite costumes were worn by buddy Dan and I in high school. We decided to go as female dance team members from our high school, called the Sycamore Flyerettes. It was actually a bit scary how good I looked as a women. Yes, pictures do exist of this night, but I prefer not to share them with you, sorry. Moving on to college, I got quite lazy with my costumes, usually waiting until the last minute to put something together. One year I was a golfer, wearing a sweater vest and hiked up “knickers” carrying around a golf club. And another year I dressed up as an overweight basketball player we had at the University of Cincinnati named BJ Grove. I wore his black game jersey with a few pillows underneath. Kind of a lame costume, but kept me warm during the cold night at the parties. Another last minute idea was to wear my hockey shoulder pads and a baseball jersey, being a baseball player on steroids. 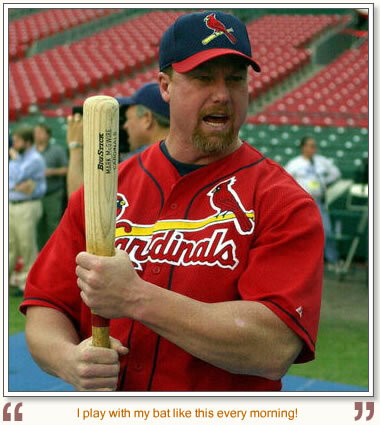 Due to my goatee and red hair, most assumed I was Mark McGwire. For the first time in quite a while, I will be attending a costume party with some friends, then maybe around town to a few bars. I have my 2010 Halloween Costume in mind, but you will have to check back if you want to see what it is. 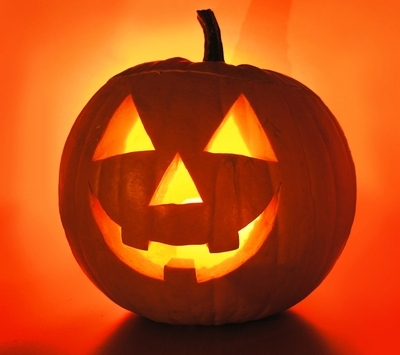 Happy Halloween to everyone and don’t eat too much candy!! Mark McGwire....or is that me?